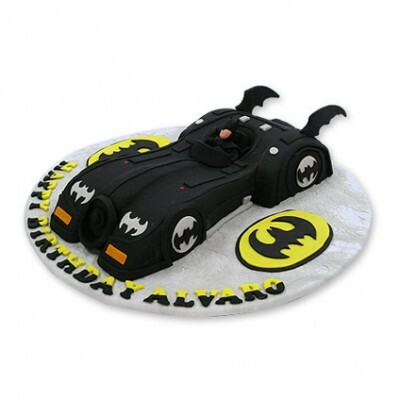 Batmobile Cake is for a superhero loving birthday boy & girl. This cake is also available in a variety or colours, sizes and flavours (vanilla or chocolate). - Bat Mobile Cake is Only delivery in Bangkok.